Waterfall Info: This is a fairly significant waterfall on Bear Creek, the first of three falls on the creek from the top. 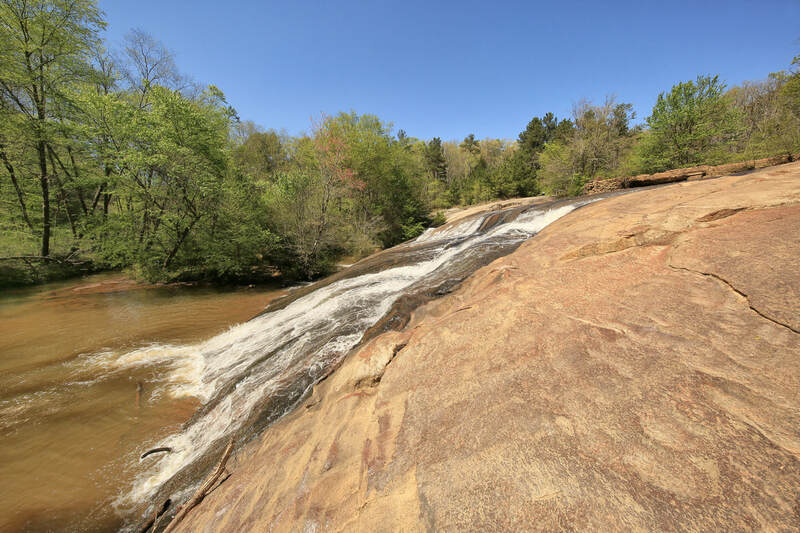 Access Info: This waterfall is along the Nature Center Trail and Cochran Mill Loop 2 Trail in Cochran Mill Park. See Cochrans Mill Park Trail Map.